Psychology and Biology students at The Sixth Form College, Solihull visited the University of Leicester this week for a Brain Awareness Day. 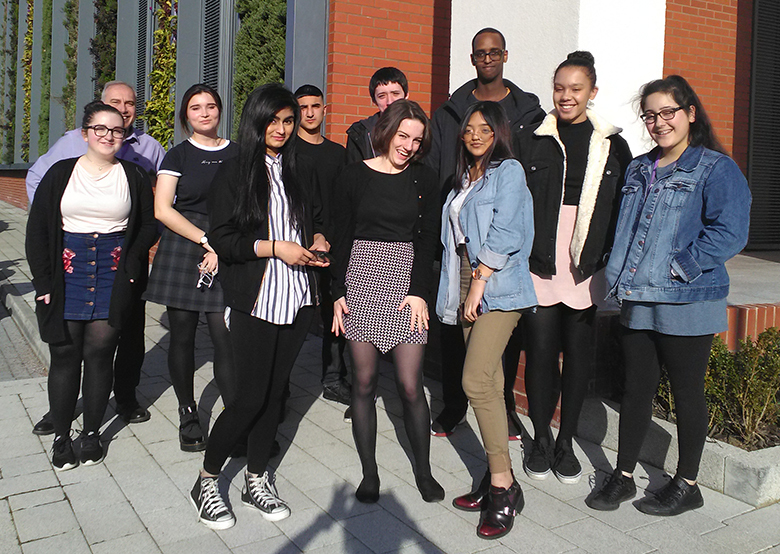 The students visited the newly opened Centre for Medicine at the University of Leicester to attend three lectures to support their A level studies. The first lecture was on Schizophrenia, the second concerned how the eye communicates with the brain when we read, and the third explored the genetics behind Dementia, Parkinson’s Disease and Huntington’s Disease, as well as the work done to find cures. While at the Centre for Medicine, the students also enjoyed a series of poster presentations and demonstrations by PhD students and had the opportunity to talk to current undergraduates. As well as the A level in Psychology, the College also runs a specialist enrichment called the Psychology Research School. This is run in conjunction with the University of Warwick and enables a select group of Psychology students to develop their understanding of the subject by way of an Extended Project Qualification.